Take a break from the city and head to Bosque de Chapultepec and Chapultepec Park. 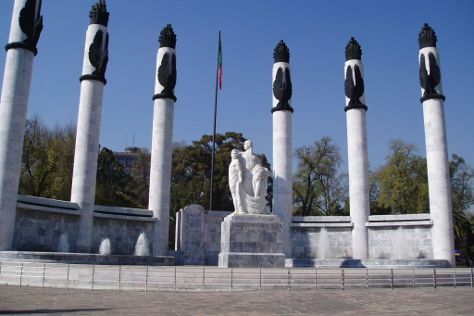 There's still lots to do: see the interesting displays at National Museum of Anthropology (Museo Nacional de Antropologia), pause for some photo ops at Monumento a los Heroes de la Independencia, explore the activities along Lago del Bosque de Chapultepec, and get a taste of the local shopping with Coyoacan. To see more things to do, other places to visit, photos, and tourist information, go to the Mexico City online attractions planner . In September in Mexico City, expect temperatures between 26°C during the day and 16°C at night. Finish up your sightseeing early on the 30th (Sun) so you can travel back home.